Mercedes has confirmed that the team's challenger for the 2019 Formula 1 campaign will break cover on Wednesday February 13. 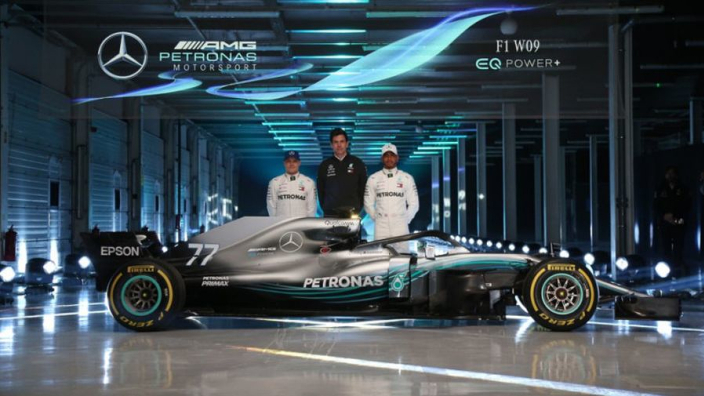 The Silver Arrows have revealed their car with big launch events in recent years, but the new car will be unveiled on social media after a closed, private shakedown. Mercedes' W10 will be unveiled on the same day as Racing Point's new machine in Canada – with plenty of intrigue surrounding both launches. The Silver Arrows have launched previous cars at Silverstone with dozens of media in attendance, but the move to a private event is indicative of a changing approach by F1 teams for 2019. With new aerodynamic regulations in effect, teams up and down the grid have been incredibly guarded about their developments for the coming year. Mercedes team principal Toto Wolff has previously suggested that the order of the grid could be turned on its head by the new rules, which include simpler front wing designs and other changes to aerodynamic surfaces.